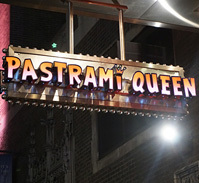 Pastrami Queen, which has been an Upper East Side fixture since the 1950s, now has an outpost at the Pearl Hotel on West 49th Street in Midtown. The restaurant is known for its over-stuffed sandwiches, including its signature hot pastrami. Also on the menu is corned beef, brisket, turkey pastrami, roast beef and chopped liver. Diners can also order a double or triple decker combo with a choice of up to three different meats. Uncle Heshy's Smoked Fish also makes an appearance with classic lox, pastrami salmon and whitefish salad. 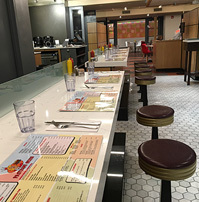 Soups, salads and all-day breakfast items, including pastrami and eggs, are also being offered. The location is perfect for theatregoers or visitors to Times Square.